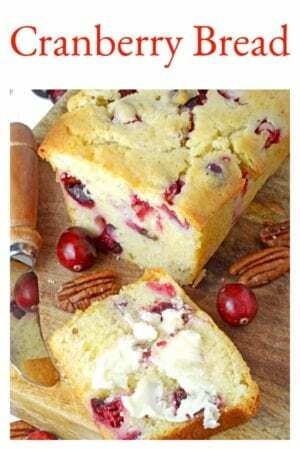 Cranberry Bread, features fresh cranberries, toasted pecans, and cream cheese, all combined for a spectacular taste of autumn, making it the perfect quick bread for the holiday season. Make this cranberry bread with or without nuts; the choice is yours. 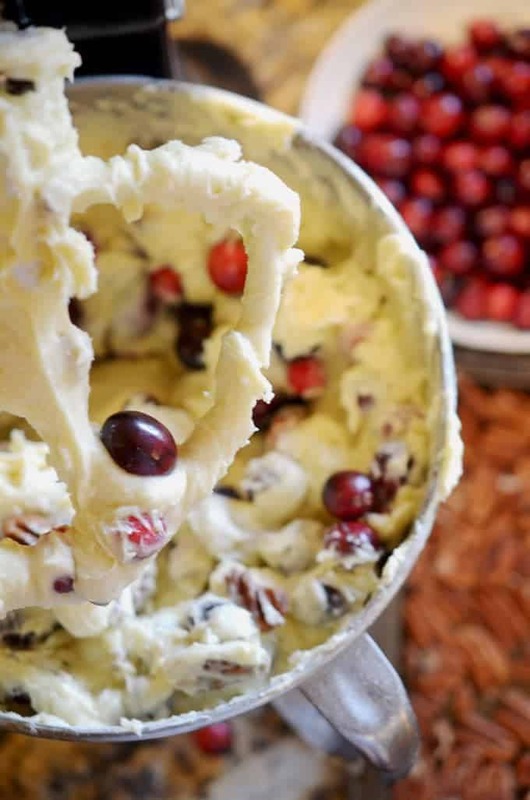 Cranberries are all too often one of the most unsung heroes of the fall and holiday season. In case you have not used fresh cranberries in the kitchen before, we’ve got some delicious news for you. 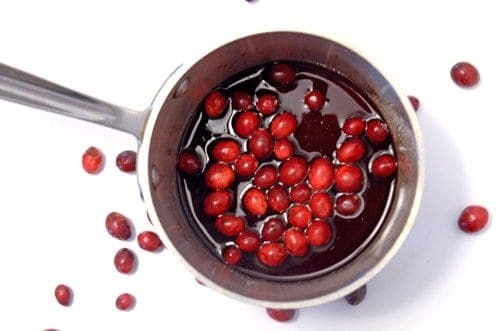 We’ve put together a few cranberry recipes in the past, simply by using this American original. We have grown to love fresh cranberries and therefore today we are happy to add this Cranberry Nut Bread to the fold. This no-knead artisan bread uses fresh cranberries. It’s hard to imagine anything that could taste better, this fall season, than a combination of tart fresh cranberries, sweetened cream cheese, and the natural goodness of toasted pecans. Therefore, it is this very trio that is the basis for this spectacular quick bread recipe. Cream cheese is one of the secret ingredients to this cranberry bread. You may have noticed we threw in some pecans to this Cranberry Bread, although you can use whatever sort of nuts you like, or none at all. We do have one caveat though if you do use nuts. Give them a short toast in the oven before adding them to the quick bread batter. You’ll be amazed at the enhanced flavor that results from this process. Just 7 minutes at 350℉ will do the trick! Toasted pecans will take this quick bread to a new level of taste! If you have a nut allergy or if you are just not a fan of nuts, no worries because we have you covered. Whether you like nuts or prefer to go sans nuts, this cranberry bread is a winner. 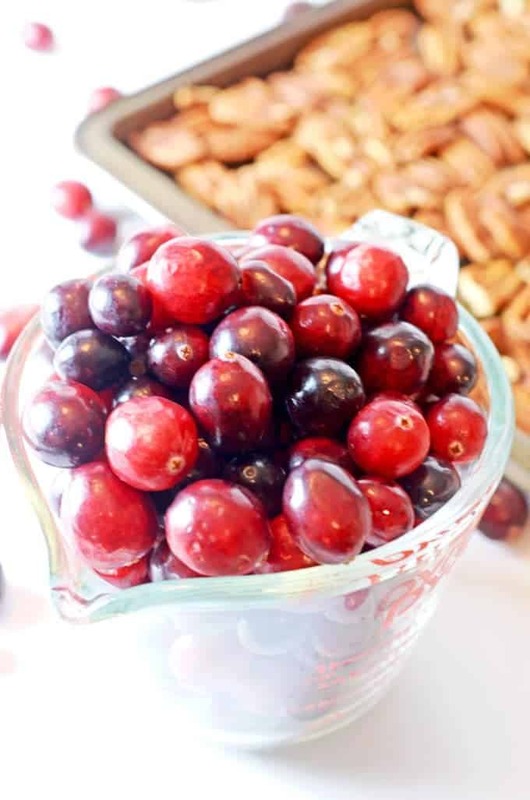 Don’t miss the great piece that Chef Kat created, Cranberry Facts and Fun. 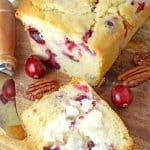 If you don’t have cranberries, you can substitute virtually any other berry, fresh or frozen to add to this quick bread. 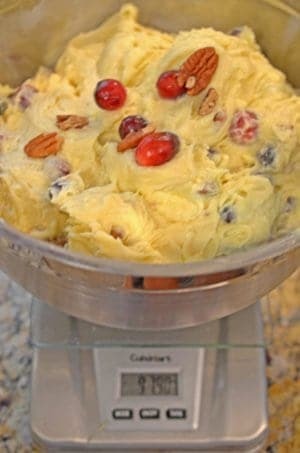 Or, mix it up with an orange cranberry bread version. Remember to thaw and drain frozen berries before use, if you go that route. A kitchen scale is an easy and affordable tool that lets you precisely measure the amount of ingredients. This is especially useful when dividing batter, as we do for this quick bread recipe. I’ve always been a bit on the nerdy side, and thus I suppose this has carried over to the kitchen as well. One of my favorite kitchen tools that I love and therefore highly recommend is a kitchen scale. Using a scale is a precise and therefore a universal method of measuring and evenly distributing ingredients into multiple pans. With this in mind, we took this Cranberry Bread and made three mini loaves out of it. Using the scale was not only fun for the nerdy side of me, but it also gave us three even-sized, uniform loaves of this quick bread. For starters, it could not be any easier to put together. This cranberry bread can also be converted to a Dutch oven bread. 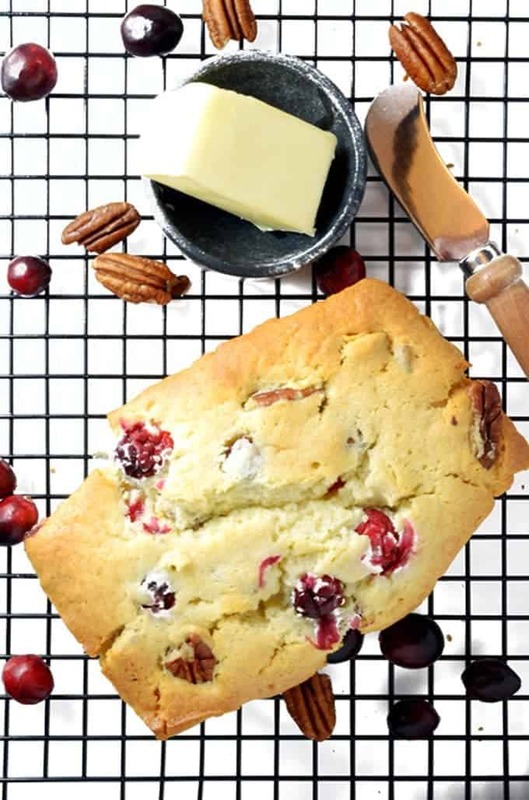 As Scott pointed out when we made this for a recent USA TODAY newspaper feature, this Cranberry Bread can also be put into muffin pans, making a great personal-size serving for on the go or just for fun. Or, use the recipe for this no-knead bread and turn it into a Dutch oven bread. Whether you have cranberries on hand or other berries, fresh or frozen, with nuts or without, this delicious bread recipe is must try. Please give it a try and then be sure to let us know what you think. Make this no-knead artisan bread in a traditional loaf pan or as a Dutch oven bread. It's the perfect quick bread for the fall holidays! 1 cup butter , softened to room temperature. 1 package cream cheese (8 oz) softened to room temperature. In a separate bowl add the dry ingredients (flour, baking powder & salt.) Gradually mix dry ingredients into mixing bowl of wet ingredients. 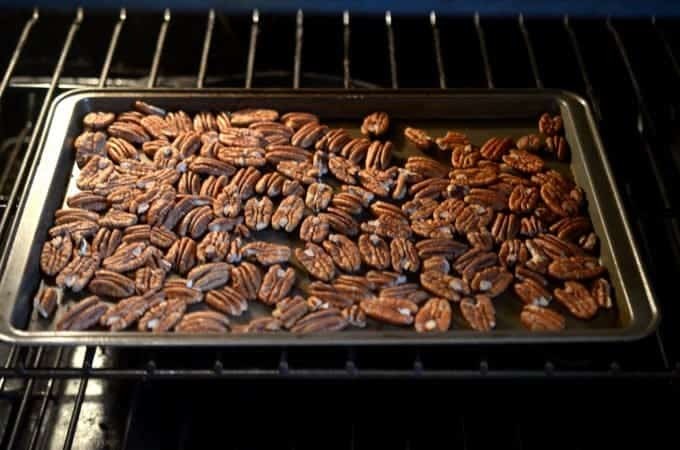 Gently fold in pecans and cranberries. Fill 3 greased mini loaf pans and bake at 350 degrees for 75-90 minutes. Bread is finished when toothpick comes out clean after being inserted into center of bread. This Cranberry Nut Bread takes a while to bake. We made ours using our convection oven. A full-size loaf pan takes about 2 hours to bake all the way through, yielding a huge loaf of bread. We prefer using the mini loaf pans which take less time to bake and make for great gift ideas for friends and colleagues, or your local homelsss shelter. Pin this recipe for Cranberry Bread. This bread is so yummy!! It is now my go-to recipe for the holidays. Thanks, Michelle, we are happy that you like this easy bread recipe! 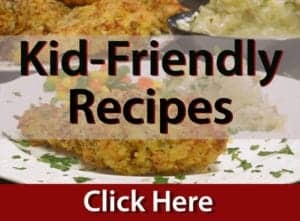 I was scrolling through the comments to see if anyone has tried adding orange zest to the recipe. While searching for a perfect cranberry recipe to try, many recipes used the zest of an orange or orange juice. I may try two batches of this, one with zest and one without. I’m Loving the idea of using orange zest for this Cranberry Bread recipe; it will make a beautiful and festive garnish as well! Please let us know how it turns out. Thanks so much for the wonderful comments and are so happy that you enjoyed this easy bread recipe! This Cranberry Bread is the perfect food gift for anyone who is on Santa’s nice list! i tried this and it’s yummy. am going to make again and add dark chocolate chunks. Loving the idea of adding chocolate to this cranberry bread recipe! What a delightful cranberry bread recipe! Perfect for both Thanksgiving and Christmas. What a beautiful bread!! This is just perfect for the holiday season and it would make a great hostess gift. And toasting the nuts first makes a big difference in the taste of the dish. We always toast our nuts first. It really brings out the flavor. Delicious recipe. 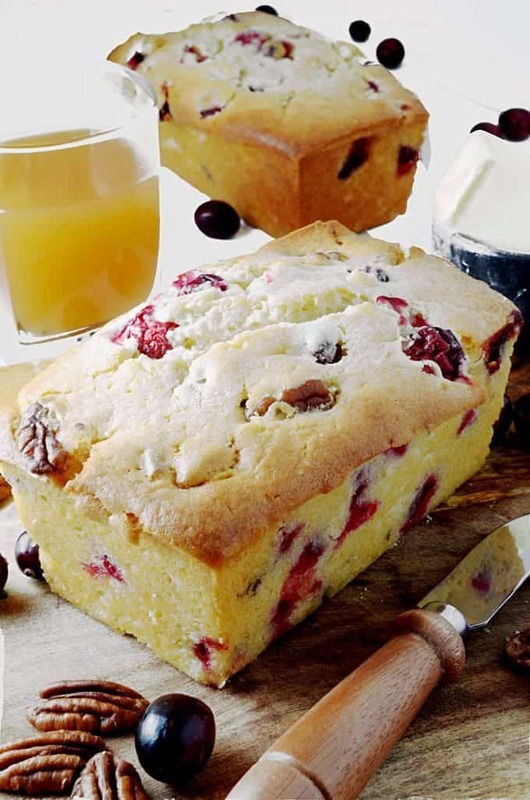 What a delicious bake, I love cranberries so definitely need to try this very soon! 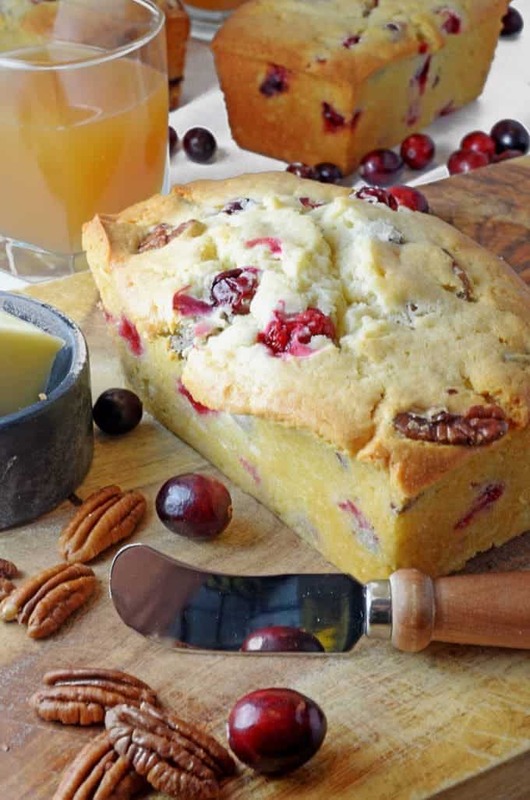 This cranberry bread is a true taste of autumn! It is just what I need to complete my holiday season menu – thank you! 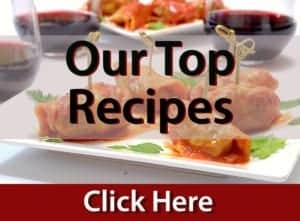 I love this recipe. 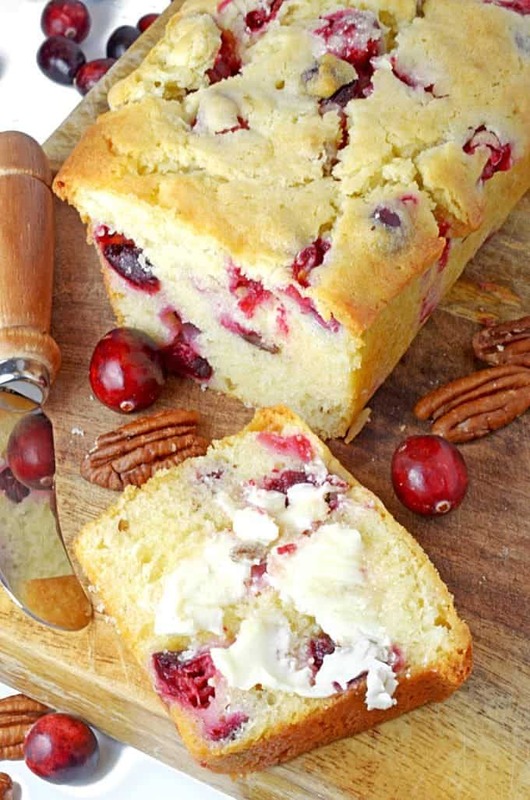 We are for sure making this cranberry nut bread recipe at my house this weekend, yum!